Laura is an interdisciplinary researcher and designer at InWithForward. 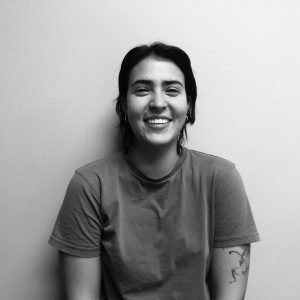 Through her lived experiences as a queer, femme member of the Colombian diaspora she saw how socioeconomic inequities manifest as health inequities. Her commitment to designing structures that combat these harms has lead her into diverse fields, including community mental healthcare, Reggio Emilia-inspired education, and theatre performance. She holds a BA from McGill University where she majored in Psychology and Theatre Studies. Fun fact: Every time the season changes Laura swears that this is her favourite season. Her dog’s favourite season, though, is winter.